This has been the summer of giant zucchini (all from my boyfriend’s garden). Do you also have an abundance? Wondering what to do with it all? 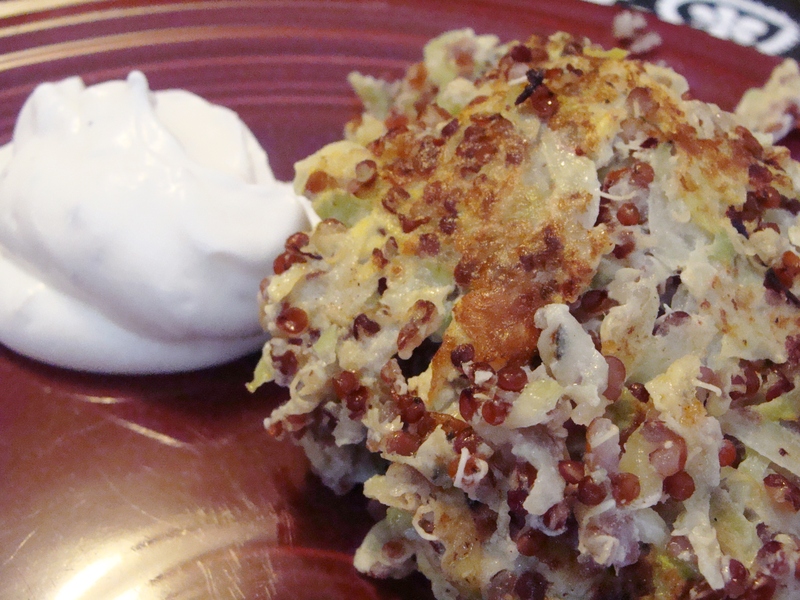 Make these zucchini quinoa fritters! A healthy, light, cheesy meal. 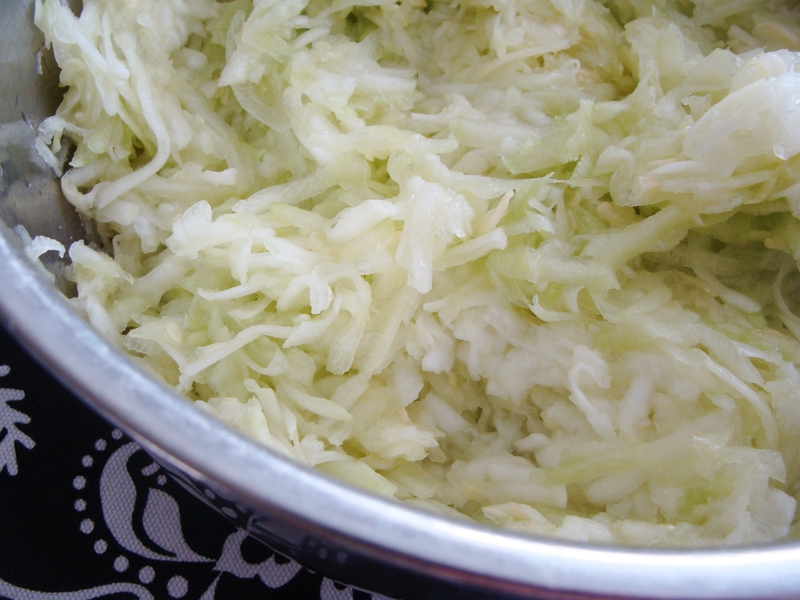 To start, you need to peel and grate your zucchini. I hope you are ready for some serious arm exercise. I used a cheese grater. Watch your fingertips! Grate, grate, grate! Once you have a pretty bowl full of green stuff, sprinkle it with a teaspoon of salt. Next up—and this is pretty important—you need to drain as much water as possible from the zucchini. My “method” was to put the zucchini in a metal strainer over a bowl. I then took a wooden spatula and pressed and squeezed out the water. I repeated this several times before I got tired was satisfied. Set the zucchini aside, and cook 1 cup of quinoa per package directions. I used Trader Joe’s red quinoa and it was tasty. 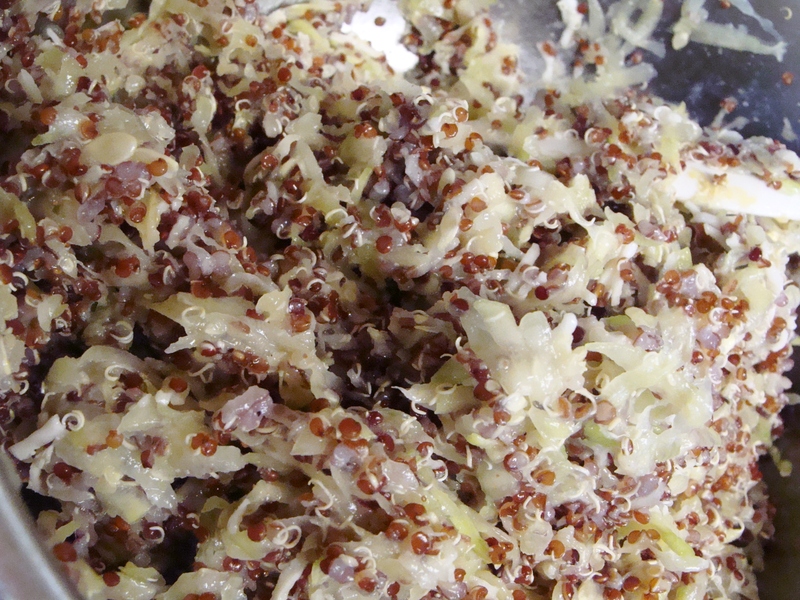 Make sure you cook the quinoa until all the water has been absorbed. In a large bowl, mix your zucchini and quinoa, and add your garlic powder, Parmesan, and 2 eggs. Heat a generous drizzle of olive oil in a large griddle or skillet. Make sure the pan is HOT (but be careful). Put small scoops of the mixture on the pan and cook for about 4-6 minutes, then flip, and cook several more minutes. The edges of the fritters should be browning and sizzling and smelling very wonderful. I served these fritters with a simple dip: ½ cup of light mayonnaise, 1 cup of low-fat sour cream, a tablespoon of lemon juice, 2 minced fresh garlic cloves, and black pepper. The next morning, we cooked up the leftover batter & ate the fritters with an over-easy egg for breakfast. Delicious! *Note: It’s hard to judge the serving size of this recipe. I do know that the batter will keep in the fridge for 1-2 days. § One Response to zucchini quinoa fritters. 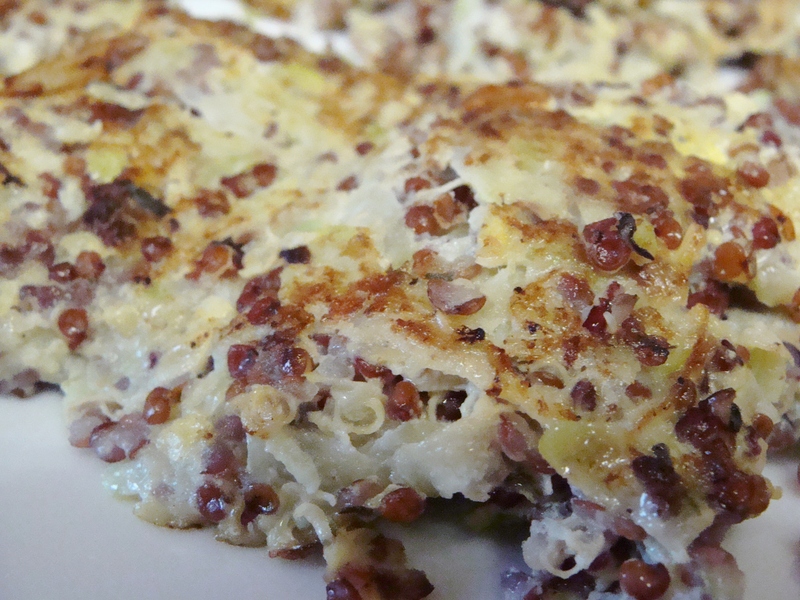 You are currently reading zucchini quinoa fritters. at The Cheesy Kitchen.